Our free Android App does it all, sign up, browse, purchase and listen to audiobooks. You can even manage your account information through the app. Click the link above to visit our Android App in the Google Play Store for more details. 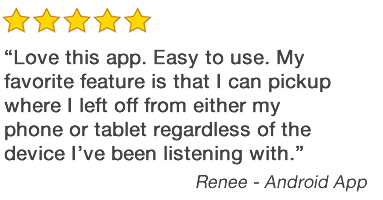 Our free Apple iOS app works on iPhones, iPads, and iPod Touches. 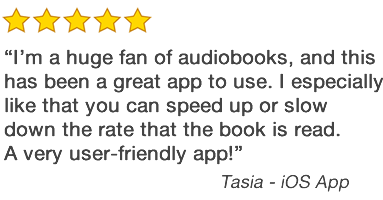 You can manage your audiobook library that you have purchased through the website. Click the link above to visit our iOS App in the App Store for more details. 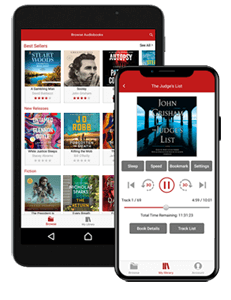 Our free Kindle Fire app will let you purchase and listen to your audiobooks in addition to manage your account, library, and wish list. Click the link above for instructions on how to install the Kindle Fire app directly from our website.